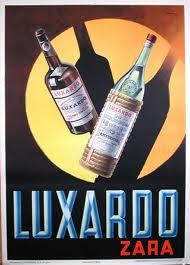 LUPEC Luxardo Brunch at Toro – this Sunday! Happy New Year from LUPEC Boston! We’re thrilled to announce our first event of the 2011: a morning of Luxardo cocktails and Italian-inspired specials at Toro this Sunday, January 16 from 10:30 a.m. – 2:30 p.m.
Special brunch offerings include a Robiola and Mortadella panini topped with a fried egg, Luxardo cherry marscapone-stuffed French Toast, and bone marrow sformato with rye and almond. Sample endangered cocktails and modern classics, delicious punches, and a “Make-Your-Own-Mimiosa Bar“, all made with the full Luxardo line and curated by the ladies of LUPEC. Sunday, January 16, 10:30 a.m. – 2:30 p.m.